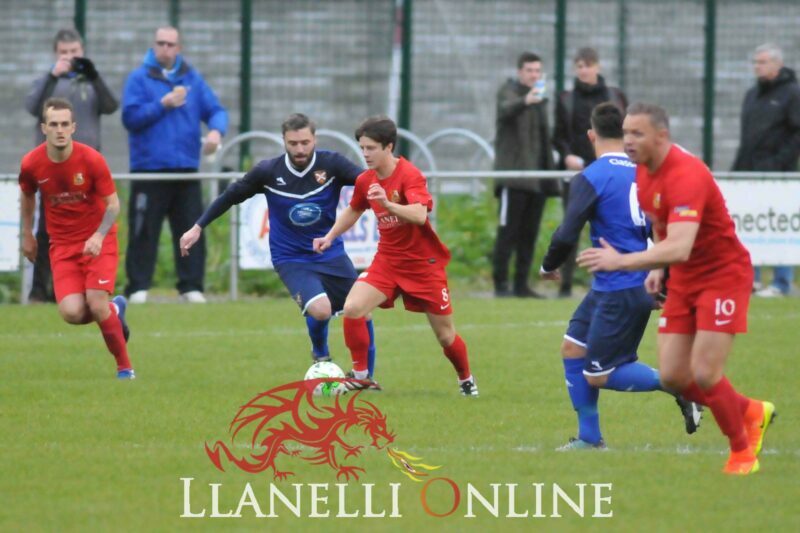 Carmarthen may have seen green at the local elections but Llanelli has been victorious in red as Llanelli Town continue their unbeaten run and remain just one game away from an incredible record. 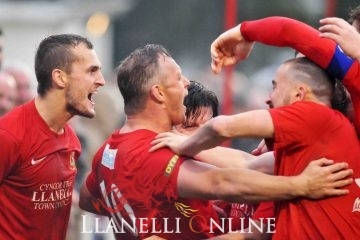 Two goals by Jordan Follows and one apiece from Lee Trundle and Richard Lewis, eased the Reds through to yet another win to stretch their unbeaten run to 29 league games with just one remaining. 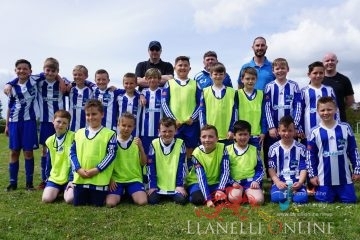 They were made to work hard for the victory as their opponents had plenty of possession and came close on a few occasions to opening their account. However, the visitors held firm and in fact made the best possible start, taking the lead after just 3 minutes when James Aurelius in the home goal made a hash of collecting a ball hoisted into the middle by Kurtis March, allowing it to slip from his grasp, and Follows made no mistake by slotting home the chance. 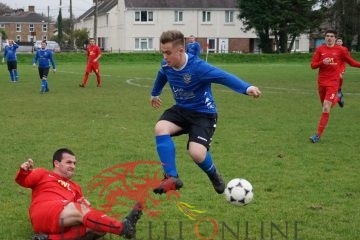 When Abergavenny countered, a ball driven across goal by Brett Alderson to the near post cannoned off a Reds` defender and fractionally wide, and from the resulting corner taken by Ben Watkins, Craig Morris was forced to claw it out from under the bar. There then arose a remarkable scramble in front of the visitors` net when another Watkins cross found Luke Lewis on the edge of the area, and he directed it back towards the target where an attempted clearance merely sent it towards the goal, where it rebounded off the foot of the post before Morris finally got down to smother it on the line. Having somehow survived these scares, the Reds took full advantage by going further ahead on 34 minutes with Robert Thomas picking out Follows with a superb ball, and the striker did well to avoid a couple of challenges before making ground into the area and finding the net just inside the far post. When the home side attacked, there were appeals for a penalty when a run by Sam Oakley through the middle culminated in him going down in the box, but referee Neil Wilcox brought play back by awarding a free kick outside the area, which Lewis drove narrowly over the top. A horrible sliced attempted clearance by Aurelius gave Trundle a shooting opportunity, but his finish was just off target, but he had better luck on the stroke of half time after Follows began a move which was carried on by Jordan Davies who played in Trundle, and this time he made no mistake by beating the keeper to send the Reds` in at half time three goals to the good. James Loveridge replaced Ross Jones at the start of the second half with the latter having suffered an injury, and both sides went close in the opening stages with Lewis for the hosts firing wide of the Reds` goal, while Davies had a close range effort blocked after Joe Clarke and Trundle created the chance. A Loveridge strike also sailed just off target, before Trundle struck the bar with a curling attempt with the keeper beaten. Aurelius brought off a great save to deny Loveridge by pushing his goal bound shot around the post, while at the other end, Morris got down at the near upright to safely hold a well struck finish from Aaron Norman. With time running out, Lewis came on to replace Follows, and in his brief time on the field clinched the Reds` fourth goal two minutes from the final whistle, when a Trundle free kick driven into the goalmouth was parried by Aurelius only as far as Lewis who netted off the inside of the far post . 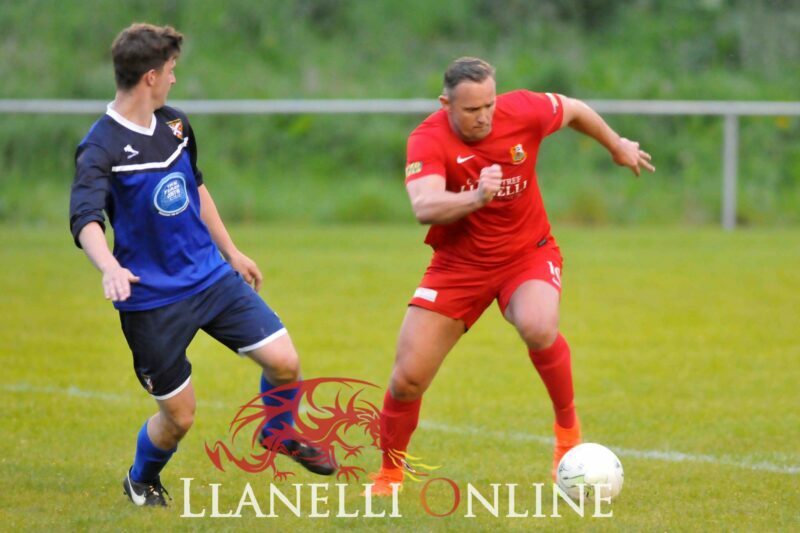 Another good result for the visitors, who after completing their league programme at Ammanford, now turn their sights to the League Cup final versus Bridgend Street on Friday, 12th May, at Briton Ferry Llansawel`s Old Road ground. Kick off 7 p.m.
ABERGAVENNY TOWN; Aurelius; Alderson; R. Oakley; Brewer; Evans ©; Watkins; Morgan (Norman, 46); S. Oakley; Bannon (Bouthron, 56); Feeley; Lewis (Hitchock, 82); Subs. not used; Bull; Indge (GK). LLANELLI TOWN; Morris; Graves; March; R. Thomas; C. Thomas; Bevan ©; Clarke (Finselbach, 73); Davies; Follows (Lewis, 82); Trundle; R. jones (Loveridge, 46); Subs. not used; Samuel; L. Jones. 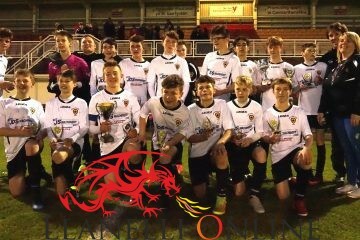 SCORERS; Llanelli Town – Follows, 3, 34; Trundle, 45; Lewis, 88. YELLOW CARDS; Abergavenny Town – Watkins. 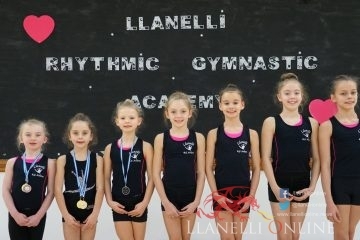 Llanelli Town – March; Finselbach.